Mike Suskie says: "There was a time when every shooter on the market wanted to be Halo. Now they all want to be Call of Duty, and Halo is off in another room doing its own thing, and it's all the better for it." Fiddlesticks says: "343 really does a good job of illustrating emotion and feeling between Master Chief and Cortana. I wholeheartedly mean that. A more amateur take on the dynamic between Master Chief and Cortana would lead to their relationship feeling as cheesy and forced as my making light of the situation above. But through subtle movement and expression – and excellent voice acting – I felt compelled to see how their story would conclude with the hope that Cortana would come out her rampancy all right. Thi..."
pickhut says: "Thankfully, Halo 4's War Games excels with its improvements and tinkering to provide tremendous amounts of replay value. I haven't had this much fun with a Halo multiplayer since vanilla Halo 3, back in 2007." Halo 4 devs: "Sexism is unacceptable." At HonestGamers, we love reader reviews. If you're a great writer, we'd love to host your Halo 4 review on this page. Thanks for your support, and we hope you'll let your friends know about us! None of the material contained within this site may be reproduced in any conceivable fashion without permission from the author(s) of said material. This site is not sponsored or endorsed by Nintendo, Sega, Sony, Microsoft, or any other such party. 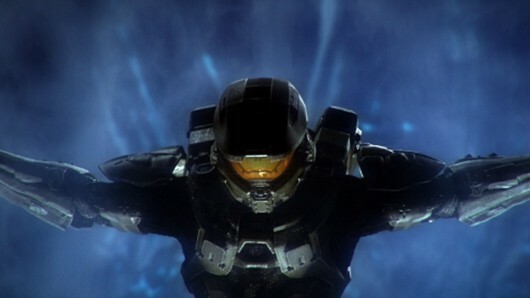 Halo 4 is a registered trademark of its copyright holder. This site makes no claim to Halo 4, its characters, screenshots, artwork, music, or any intellectual property contained within. Opinions expressed on this site do not necessarily represent the opinion of site staff or sponsors. Staff and freelance reviews are typically written based on time spent with a retail review copy or review key for the game that is provided by its publisher.